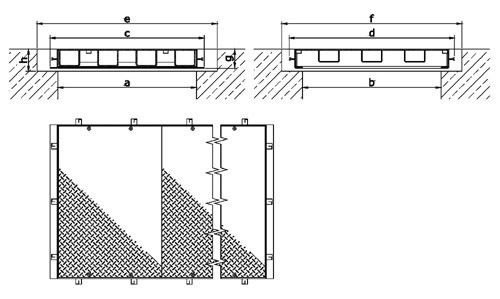 With access cover units of the ST-range, both cover and frame consist of the same material: optionally of hot-galvanized mild steel, stainless steel or aluminium. Covers are bolt-locked and can be opened by inserting threaded eye bolts in each corner. 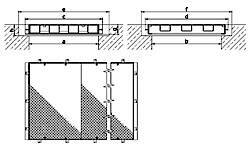 To avoid rocking, frames are fitted with a damping strip. In addition to this basic design, a variety of other features can be materialized within this range.